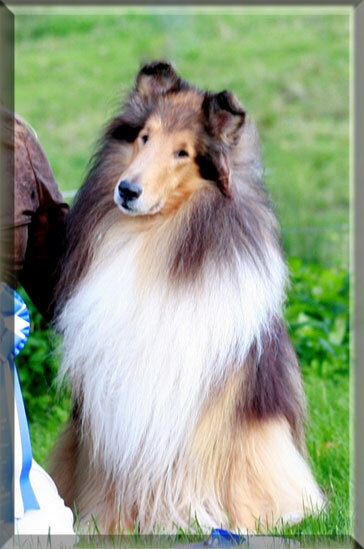 Erran finished as young puppy going WD/BOW/BPIS at the CCC 2003 under Dr. William K Brokken. The following day he repeated his wins under Mr. Joseph Koehler and then only had to appear under a third judge which he did in Moncton to complete his Championship. Such a love and so wanting something more to do our dear friend Natalie Worth took him home to her farm on Kingston Pennisula where he enjoys cats, horses, cows and after two years of being a real farm boy met us at Amherst Show and took BOB and a Group 2nd for the sheer joy of being out and about. 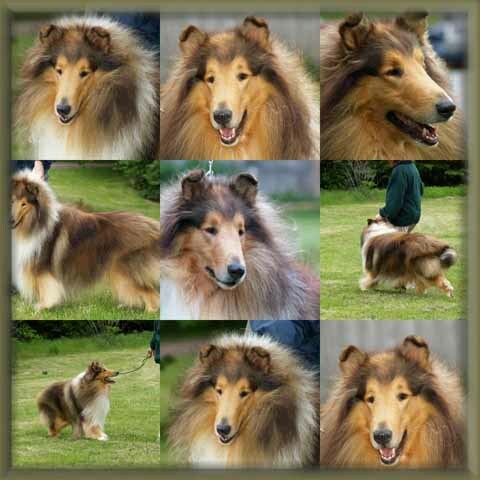 He is one of those very special collies who can do it all and makes friends where ever he goes. 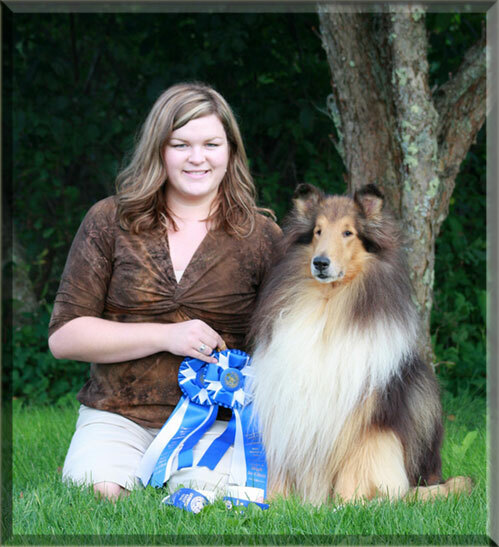 He is shown above with Natalie in Sept 09 earning High In Class and his RN title at 6 years young.